Customized applications for mobile network enhanced logic is an intelligent network service specification that allows service providers to create custom service applications for mobile telephone systems. 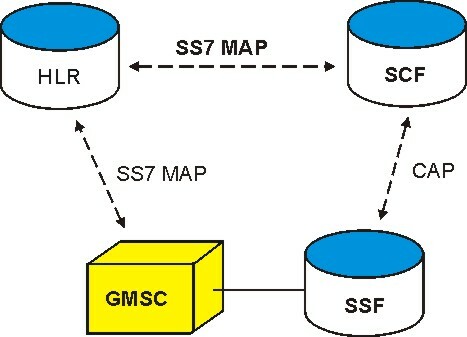 CAMEL operates on a "services creation node" in a communication network (such as GSM, WCDMA, or UMTS LTE). Examples of CAMEL applications include time of day call forwarding, multiple telephone extension service, and automatic call initiation on special conditions (trigger). There are two key elements in the CAMEL system; the service control function (SCF) and the service switching function. The protocol between these functions is called the CAMEL applications part (CAP). The SSF holds features that are unique to the carrier (outside the normal UMTS feature set). The SCF contains the call processing steps for the advanced features. This figure shows the key functional elements of the CAMEL system.